There are snakes all over the world and that means they can be found practically anywhere in the wild. One family, however, saw a seven-foot-long boa constrictor outside the wild and no, they didn’t see it at the zoo or at a pet shop. They saw the snake in a much more unexpected place. 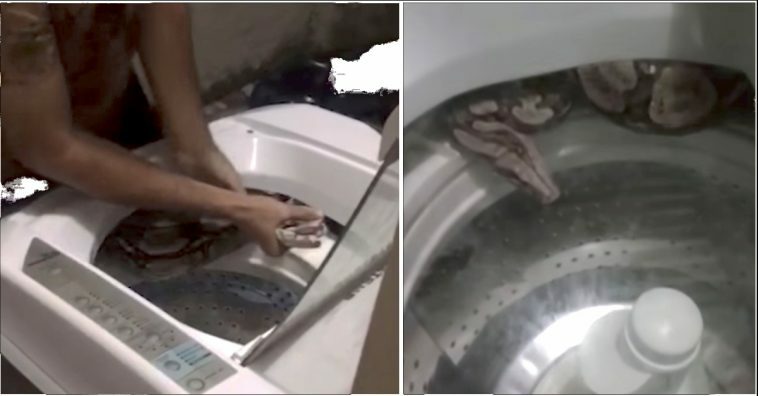 Caters News has revealed information about a woman named Shirley Oliveria who, thanks to the concern of her daughter discovered the large reptile inside their washing machine. There’s even a video of the snake in the home on YouTube. Apparently the 18-year-old girl heard strange noises coming from the machine. Shirley thought that the noise should be investigated so she went to check it out. Upon further inspection the woman found the 17 pound reptile curled up on a little shelf inside the washing machine. It was an almost 20-pound boa-constrictor that had invaded their home and trapped itself there. The breed isn’t poisonous, but a bite would definitely e quite painful, especially if it’s from a larger specimen. It’s large size and muscle strength is enough to shock a person to death. 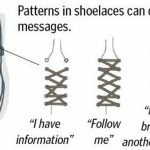 Some can reach a length of more than 15 feet and a weight of up to 100lb in a few reported cases. Snakes are usually very misunderstood creatures. The world looks at snakes as evil and unpleasant due to centuries of religious stigma. In reality, these creatures are just as innocent as the puppy in every other home and deserve just as much love as any conventional pet. Thankfully, the snake was lucky to end up in the house of a friendly family. Three people were needed to get the boa out safely. In the video we can see that the snake is terrified and thus a bit aggressive. Thankfully, neither the animal, nor any of the people were hurt in the process of getting it out of there. The recording shows how the men carefully take it out and that’s when we can really get a clear idea of how large this reptile really is. It would’ve been far too dangerous for just the mother and daughter to try and get it out. Kudos to the people who risked their health to save an animal in need. It’s important never to forget that no animal is bad and that all creatures have a right to live. Hopefully this curious boa has successfully been returned back to the wild and hopefully stays there, considering that not all people would treat it as kindly. As a snake-lover myself, I’d be happy to help a boa out. What about you?